I love the story behind this Dutch home I found on Nordic Days. 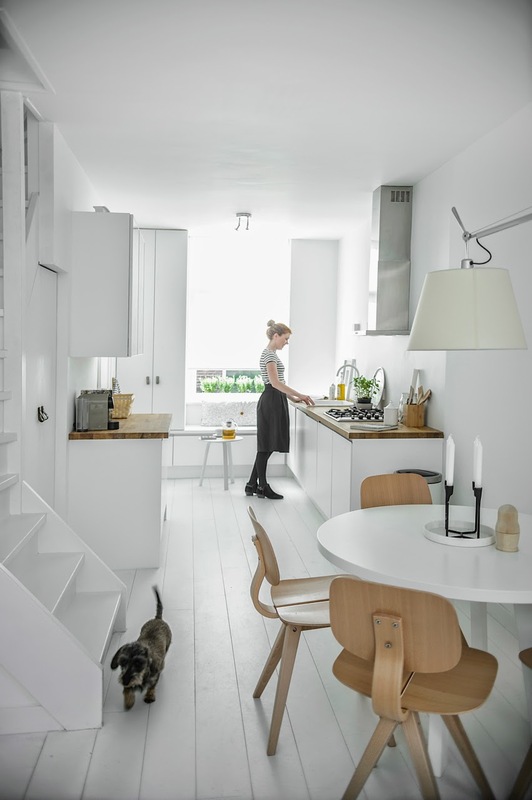 When the owner moved to Paris she couldn't bear to part with her Delft home so she approached Natalie and Tessa at Nu interieurontwerp to renovate the space following a simple brief: 'white and light' (sounds like my kind of brief!). 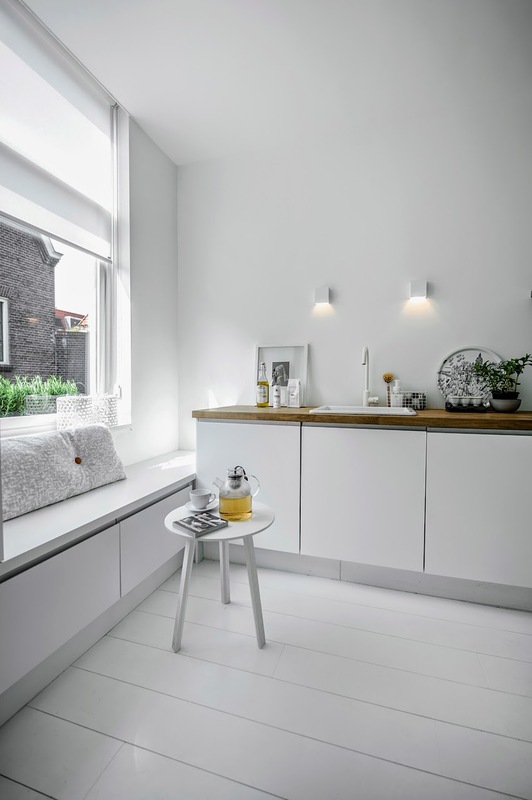 Although the house is relatively small, the result is a beautiful, bright, calm and seemingly spacious second home. 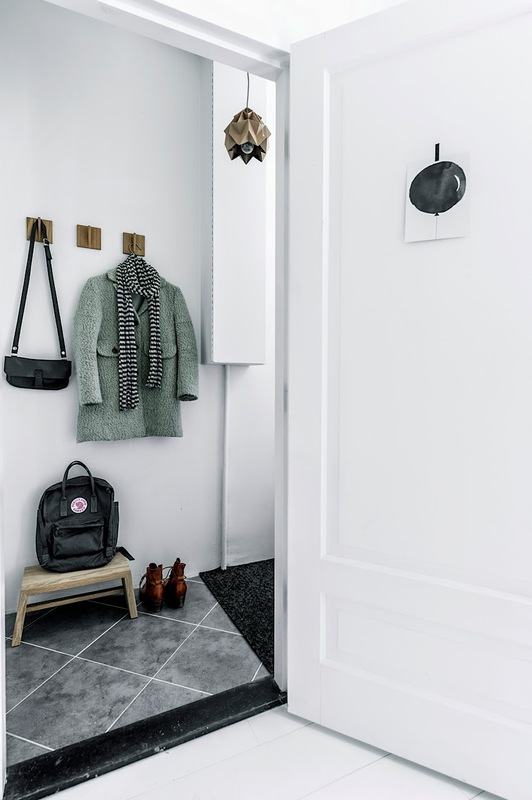 Not only have the creative duo done wonders with the decor, they've also added a few of their own design pieces including the Stool Tess and leather door handles. I think I could give the same brief, how about you?! I could have this as a second home (and a first home!) how about you? 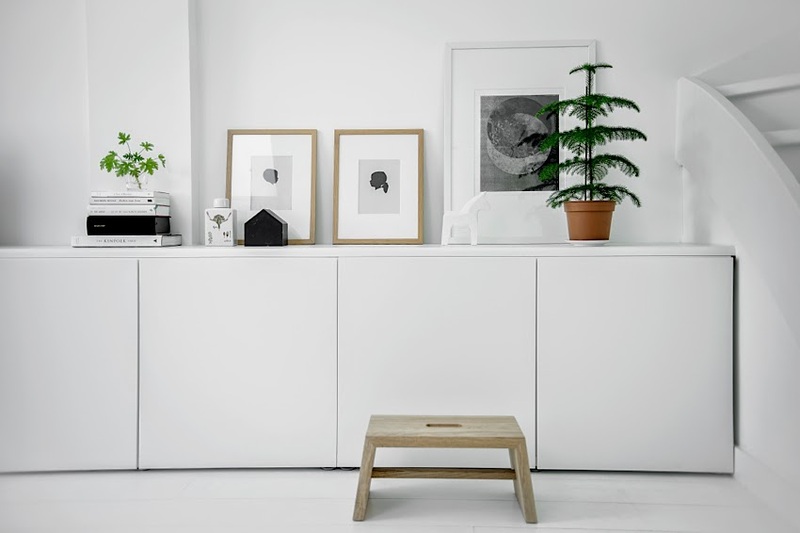 Other items I love include the Fjällräven backpack in the hall, the silhouette portraits (I would like a pair of these of my own little girls) and the mosquito chairs. How about you? A beautiful rose coloured Flow cushion arrived in the post yesterday from Danish company By Lassen. It's already installed in my dining area (see a picture on instagram here) and I love it. Now all I need is the KUBUS 4 in copper and I'm completely sorted! Have a lovely Wednesday, half way there - yeah! 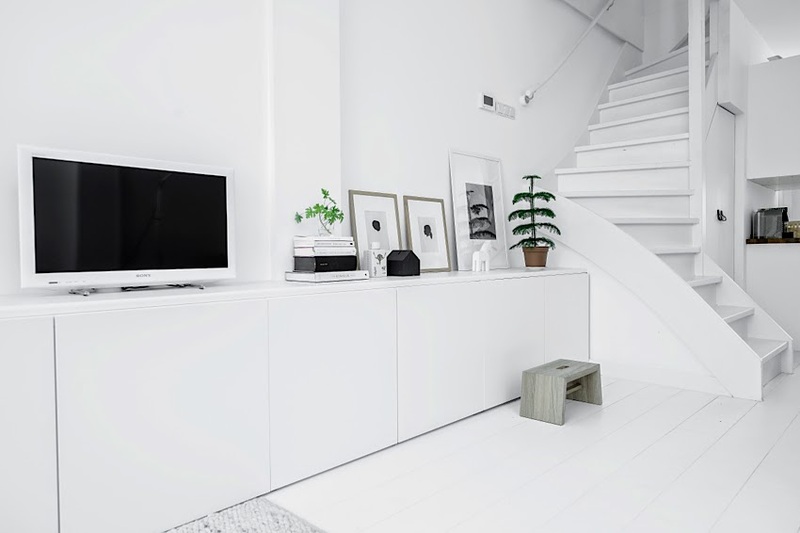 I like it, but a tiny bit too much white for me :) Still a pretty home though! 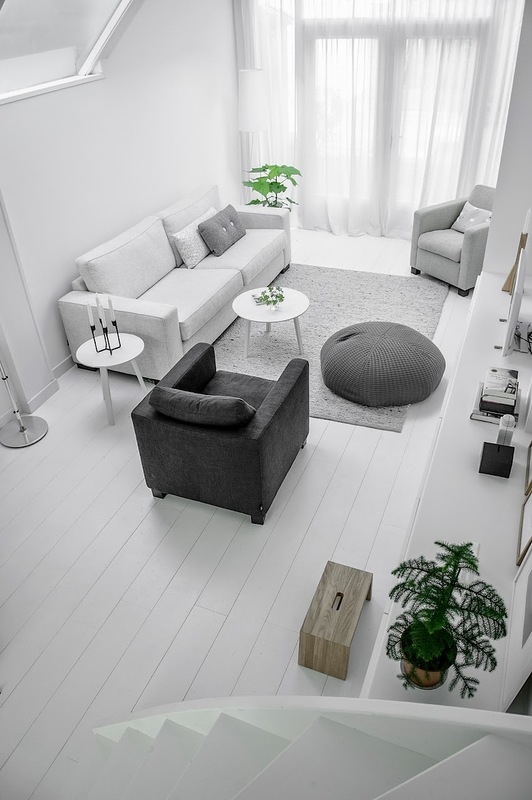 I love the brightness of this home and wooden details warming up this black white grey look! Gorgeous!